To improve economic and social conditions in communities across the country, Mission Economic Development Agency (MEDA) opened 18 public computer centers in 13 communities with a focus on helping entrepreneurs establish and grow small businesses. These centers provide free access to broadband, digital literacy classes, and technology workshops that help local residents take their ideas and expand them into productive, profitable entities. BTOP funds have allowed the project to deploy approximately 350 new workstations that are used by participants in MEDA’s business development program. To people interested in owning or expanding a small business, the program offers workshops or one-on-one consultations on a variety of topics including capital assessment, business planning, budgeting, and marketing. Individuals who participate in this program are encouraged to take digital literacy classes to learn the computer skills needed to run a business most effectively. 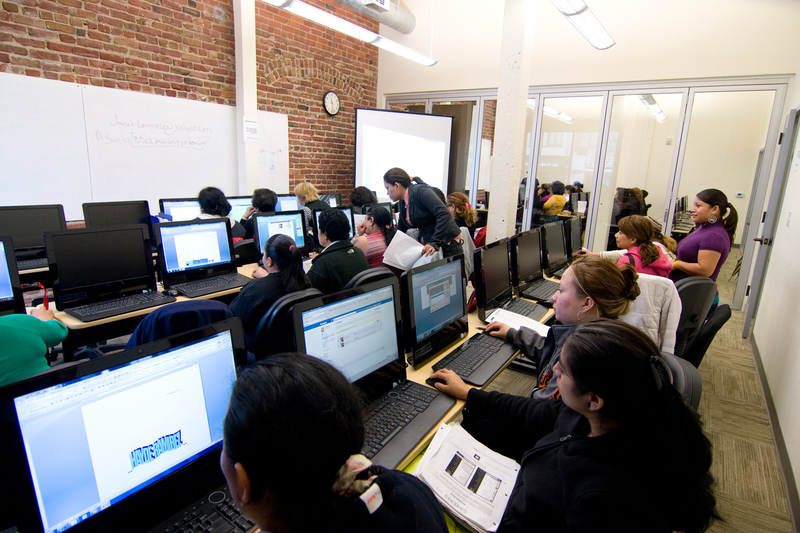 MEDA’s computer centers also offer resources to help community members develop the skills needed to find and retain a job. Community members can participate in digital literacy classes, such as computer basics, Internet fundamentals, financial education, and online banking. Individuals can also receive assistance with resume creation, job searches, and interview preparation. MEDA’s new computer centers are already helping new business owners to succeed. In Idaho, a local resident enrolled in MEDA’s business development program to learn how to grow her small film business. Through business marketing classes and tutoring sessions on Wix® Website Builder software, she was able to create a website and acquire a contract from a local band promoter to film music bands. In Los Angeles, an owner of a local party supplies company expanded the marketing reach of his company after taking digital literacy and advertising classes.